A new service from us! We can deliver your luggage from the hotel up to the airport for only 2,500/pc. for more details, please approach any of our front desk staff. 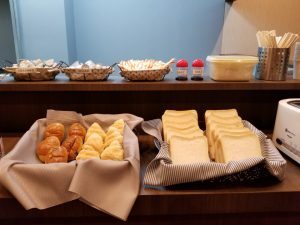 Hotel Naniwa Shinsekaimae Breakfast Service! 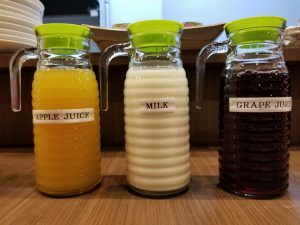 In Hotel Naniwa Shinsekaimae, we believe that the most important meal of the day is the breakfast and for our valued customers and guests, we will be having a simple and light breakfast service starting January 6, 2018 for as low as 200 yen only. 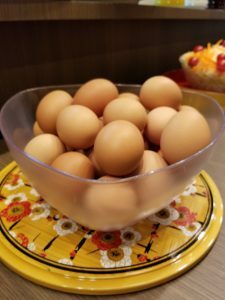 Simple Breakfast includes hard-boiled egg, bread, coffee, tea, orange juice, milk, vegetables and salads. Breakfast starts at 8:00am until 9:30am only. Hope to see you in our breakfast hall. 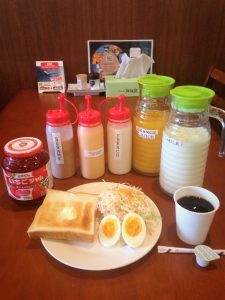 Leave a Comment on Hotel Naniwa Shinsekaimae Breakfast Service! 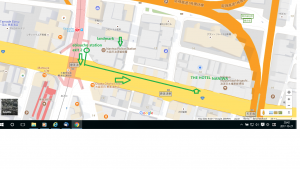 Please take a look at the illustration below for you to easily find the hotel after you exit from Ebisucho Station No. 2. 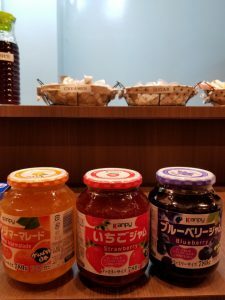 Have a nice day and stay and enjoy your trip here in Osaka. You may also want to click and visit the link and video below for better understanding of the location. 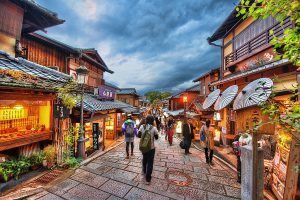 Almost everyone who visit Osaka must also put and fit in their schedules these two wonderful and amazing places Japan has to offer – Kyoto and Nara. Two different cities but each has its own unique beauty and elegance to offer. Bounded by its great culture and traditions, definitely it is worth your time and effort. 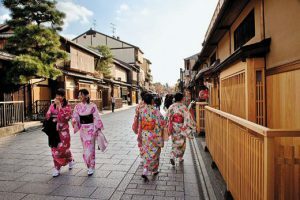 KYOTO – You can see here what an old Japan looks like especially in the Edo Era. Alongside the streets are the old houses and buildings carefully preserved up to the present. You can also see here the oldest temple in the whole kansai region which is the Kiyomizu-dera Temple. Up from here is the spectacular view of the city of Kyoto. 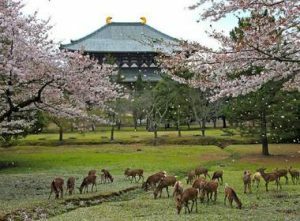 NARA – With its wide park, temples, museum and world heritage sites, We are also sure that going here will be one of your memorable stay here in Osaka, Japan. Not yet mentioning the lovely DEERS which are so behaved and calm and of course cute! 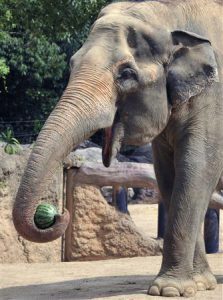 They are also so natural that it seems they already knew you for a long time and also accepts foods which you give them. You can feed them with their favorite cookies which you can buy in the area. 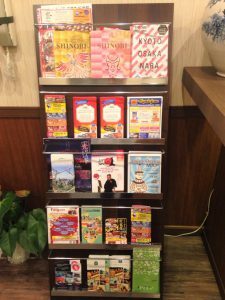 To our valued guests, these information is a continuation of our first batch of post regarding the nearby attractions that you can see within Hotel Naniwa Shinsekai`s place. We hope these information can help you as you enjoy your stay here with us. Shittenoji Temple – an old temple in Tennoji Osaka which is believed to be mysterious and gained prominence throughout the region. 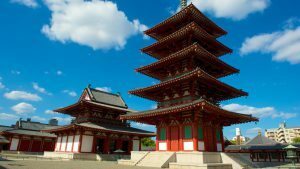 It is said to be as one of the strong and beautiful among all the temple that are here in Osaka. 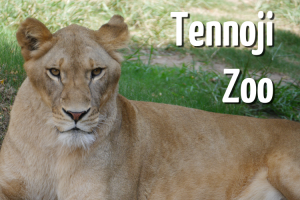 Tennoji Zoo – For those animal lovers, you may want to visit this place which has lots of animals inside. 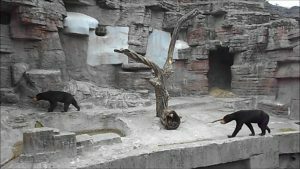 This zoo has also a park outside which is quite big for you to enjoy. You may walk around and feel the beautiful nature inside the city. 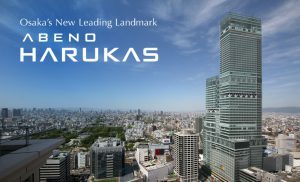 Abeno Harukas – The highest building in Osaka and the second highest building in Japan next to Tokyo Skytree. There are also shopping mall and restaurants inside and if you go to the rooftop, you can be able to see the spectacular view of Osaka. 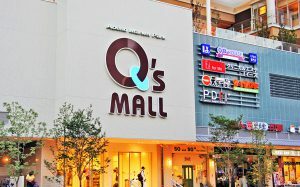 Abeno QS Mall – Not your typical mall since this shopping mall has something unique to offer inside. With lots of monthly sales and discounted items, I am sure shoppaholics will like this one. 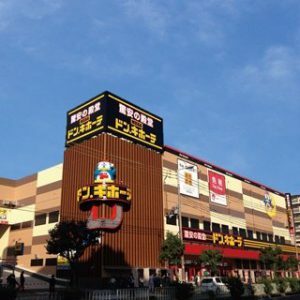 Mega Don Quijote – The famous shopping center for foreigners especially for souvenir foods and items. This Don Quijote has many branches all over Japan and comes from different building sizes and items to offer. The one near our hotel, as the name its says, MEGA, means big and has many items to offer. 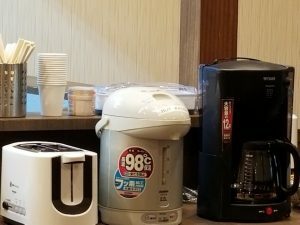 Located in a suitable place for relaxation, travel, adventure and fun, Hotel Naniwa Shinsekaimae is surrounded by many attractions which will help your stay in Osaka become a memorable one. We have listed here some of the places you can visit as you stay in the hotel. These places can be visited on foot, meaning, no car or transportation is needed. Just pure walk. We hope you enjoy! Your smile and joy matters to us! 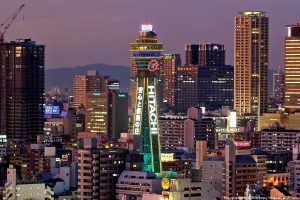 Tsutenkaku Tower – the famous tower which is said to be the oldest tower in osaka and the highest form of built structure in the old times. There is a restaurant at the top as well as an observatory deck for viewing. 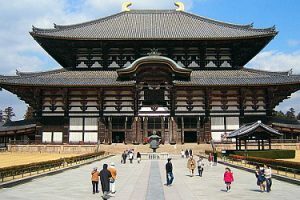 Going inside requires a little entrace fee of less than a 1,000 yen. a perfect place for couples. A good view whether day or night. 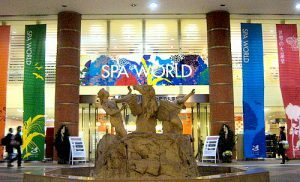 Spa World Onsen – Need a good bath? Make sure you do not missed visiting this amazing place. You can experience sauna, shower, steam bath and taking a bath in an entirely different level and athmosphere. It comes comes in many designs since they built many pools and saunas inside which mimic the different places of various countries. Asia, Europe, Middle East, America and more! Not only this, there are also water playgound, restaurants, resting place, gift shop, massage and other relaxing facilitites inside this big building. We are pretty sure you gonna love this one. 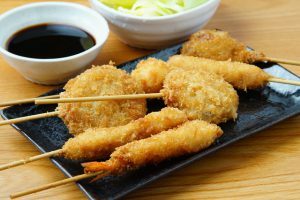 Kushikatsu Restaurants– As you walk around, you will notice that there are many restaurants selling foods which are on a stick. These are called kushikatsu. The famous food in the area. Almost all Japanese love this food especially while drinking a beer. 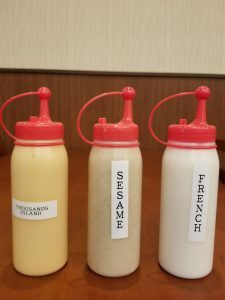 Dip it in their unique sauce, whoa! It is really worth it. So delicious!